On a day when three former French Open champions backed Rafael Nadal to win a sixth title at Roland Garros. Earlier, 1995 French Open champion Muster joined the 1996 and 1998 champions, Yevgeny Kafelnikov and Carlos Moya to pick Nadal as the winner of the year's second Grand Slam tournament in Paris. With Juan Martin Del Potro locked at one-set-all with Novak Djokovic overnight in the third round of the French Open, Kafelnikov added further weight to his belief that Djokovic's winning streak would come to an end by picking Rafael Nadal to win the French Open for a sixth time. "I still think that Nadal is going to win it and the reason is that it's best of five set matches and Nadal is just such a tough competitor," said Kafelnikov. "He understands when he needs to rise to the occasion. Even though Djokovic is unbeaten so far this year, over the whole tournament Nadal is going to grind down every opponent and the French Open is a special tournament for him. 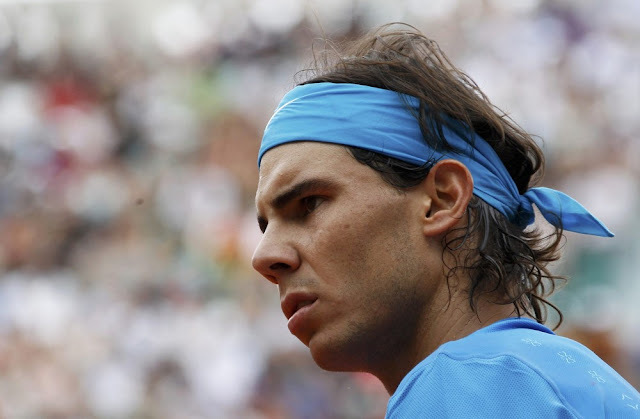 Nadal will definitely be in the final and I predict Nadal to win." "I think Rafa will win it," said Nadal's good friend and mentor Moya. "He likes these kind of challenges and Djokovic is a new challenge for him. Nadal found a way to beat Federer when he was at his best and now there is a new guy at his best so he has to find a way to beat him too. It’s a new thing for him but he likes these challenges and we’re still going to see the best from Rafa at the French Open. I’m sure of that." Muster said: "It's either Nadal or Djokovic. Obviously Djokovic has taken the last two matches on clay against Rafa but I'd still put my money on Rafa if I had to."